I am not a huge believer in curses, but I am starting to believe in the dreaded 3-1 lead curse. 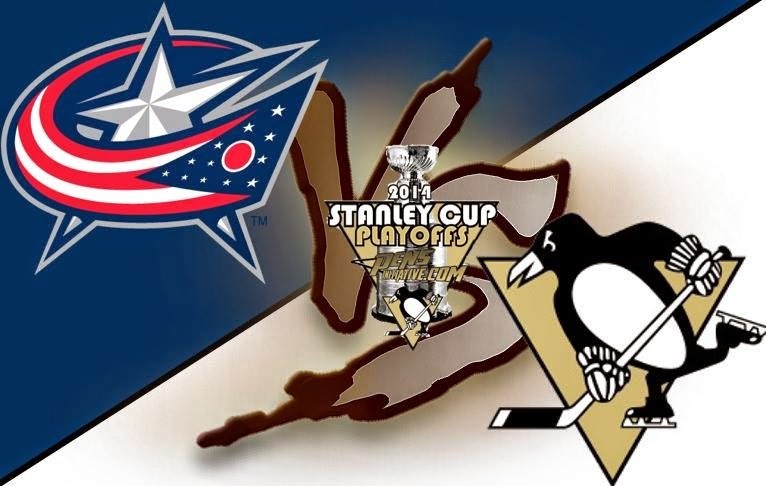 It struck again last night in Columbus as the Pittsburgh Penguins were defeated by the Blue Jackets 4-3 in overtime. The Penguins started the game off right in the first period, leading 3-0 after goals from Craig Adams, James Neal, and Chris Kunitz. The Penguins seemed to scale back and play largely on defense after that. In total the Penguins were out shot 46-25, and it showed. I also have to question the ref’s vision. A delay of game call on Brandon Sutter that results in a 5 on 3 in the second? Really refs? By that point the Penguins were just exhausted. Columbus has done a great job at grinding down the Penguins players. It is showing. Pittsburgh did not allow a shot on goal for over ten minutes in the third period, but by that point it was too late. One bad move by Marc-Andre Fleury led to over time and a 2-2 series. The Penguins will try to regroup in Pittsburgh at 7:00 PM on Saturday.